The Boy Scouts of America changed a longstanding policy on gay scout leaders Monday, ratifying a new measure that allows openly gay scout leaders in chapters across the country. The policy for scout leaders comes two years after the BSA started to allow openly gay scout members. In Maine, a similar policy has already been in place for years. The Pine Tree Council in the southern half of the state approved a non-discrimination policy in 2012. "As long as our members were not using boy scouting as a platform to advocate their sexuality, then they would be accepted," said Matt Randall, Assistant Scout Executive. 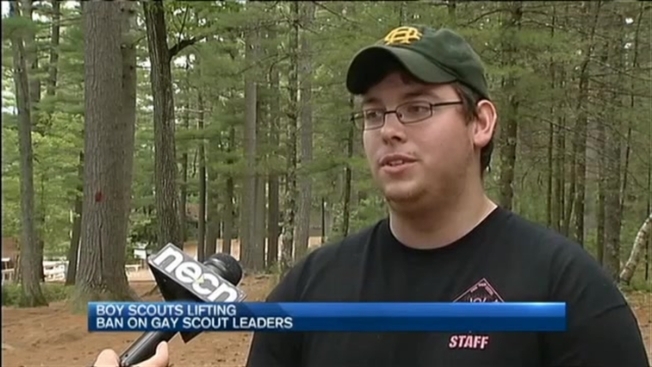 Randall said Maine was one of the first states to have a boy scout council allow gay scouts and leaders, and he said the response has been overwhelmingly positive. "As a staff member here for years, it's just one of those things where I've never wanted to discriminate against anyone," said scout leader Eri Matin. "I wanted to have a class open for anyone who's here." The new nationwide policy does have a provision that allows chapters sponsored by religious organizations to make their own decisions about gay scout leaders. If they state homosexuality is against their beliefs, leaders are permitted to appoint scout leaders accordingly. "To be following the policy of the Boy Scouts is what all troops should be doing," said Elise Johansen, Director of Equality Maine, an LGBT advocacy group in Maine. Johansen said it still leaves room for discrimination, but overall, it is a welcome policy change. "You are setting a culture of inclusion and acceptance for all people," said Johansen. It is estimated that 70 percent of Boy Scout chapters are affiliated with religious organizations.